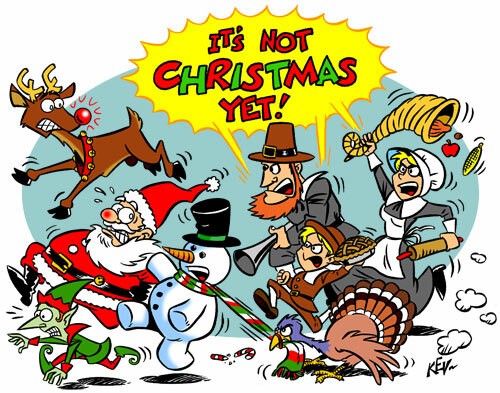 At this time of year, people often complain that we begin with Christmas festivities too early, and skip right over Thanksgiving. I am one of those who begins preparations in November, and that includes getting my Christmas decorations up. This is the third year that I’ve decorated opening weekend of deer season. Gary’s busy hunting, and I have the house to myself, so why not? I discussed this with a friend who says we are at opposite ends of the holiday spectrum. He’s just not into Christmas. As I decorated yesterday, I thought about why I enjoy getting into the holiday spirit, and why I start so darned early. First of all, the holidays are a lot of work, particularly for women. We decorate, bake, shop, wrap, plan, clean, address, and on and on. And this is on top of our regular schedule of work, kids, laundry, errands, and various sporting events and meetings. 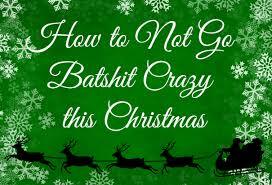 There have been years that I have dreaded Christmas because there is just so much to do. My husband helps, but ultimately, most of the work falls on me. Getting started early takes away some of that stress. The more I can check off my list in November, the more I can enjoy December. I spend hours decorating, and since I have the bulk of that done, it’s one less thing to worry about. I also have eight different types of cookies baked and in the freezer, and will bake several more over the coming weeks. Since I started baking early, I have time to try out new recipes and enjoy the process. There is nothing better than spending a Sunday afternoon listening to Christmas music and baking cookies. I have some gifts bought, which is actually necessary because we will have Christmas with our daughter Morgan and her family early in December, and many of our gifts need to be shipped. But more than the practicality of getting ready early, I just love my decorations. Addison told her friend that I clear off every shelf and table and replace everything with Christmas. I’ve put up two trees, and we will put up our real tree Thanksgiving weekend. We are going to add a fourth next year (Hubby’s idea). My girls love our house during the holidays, and I love that they enjoy it. My holiday decor is meaningful, and as I take each item out, it brings back memories. I have decorations that were gifts from customers I had when I did hair, from friends, from my sister, and from my kids. I have Possible Dreams Santas I’ve collected over the years. I have two gorgeous nativity sets. One of our trees has all antique and old-fashioned ornaments, some of which were from Gary’s family. The tree that’s upstairs has all glass ornaments that Gary and I have been buying since we got married. Our traditional tree will have ornaments the kids have made, and our family favorites. Some of my most treasured decorations are Santas made by Ethel Mae Kleeman. For years Ethel Mae spent her time turning any piece of wood available into an old-fashioned Santa; they are beautiful. Because she no longer makes them to sell, I wish I had bought more when I had the chance. I have ornaments that were made by a local lady, and those are also irreplaceable. So, while some might think it’s too early to get out the Santas or lights, I want to enjoy them as long as I can; I want to have time to cherish the memories. Since Christmas music really is my favorite kind of music, why would I only listen to it one month out of the year? We’ve been singing Christmas songs for a few weeks, and it makes us happy. Our love of Christmas in no way takes away from Thanksgiving. We have our own Thanksgiving traditions, such as going for an early morning run, watching the Macy’s parade, and eating too much. We are thankful for so much, the most important of which is the birth of Jesus, so why not have our nativity sets up on Thanksgiving? It’s the most wonderful time of the year! Fitness (that is what this blog is supposed to be about)…The 40 Days of Fitness Holiday Challenge begins this coming Sunday. It’s a good thing since I have skipped exercise the past four days! I haven’t skipped that many days in a row in months and months! And since I have been baking, skipping workouts is not advisable. The challenge will run Sunday through January 1. Anyone can join no matter where you live since it is run through our Facebook page. If you are interested, search 40 Days of Fitness on FB. Ask to join our page, and sign up. We can hold each other accountable for burning up those holiday calories. Peace, Love, and Happy Thanksgiving!